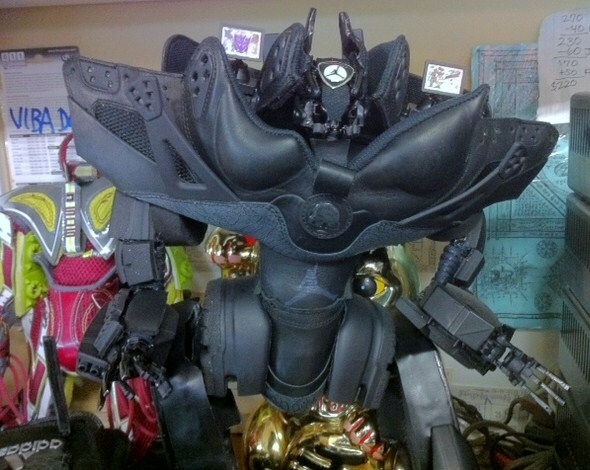 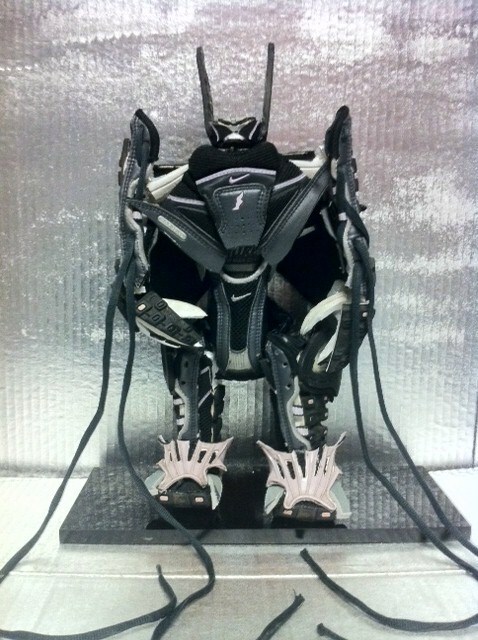 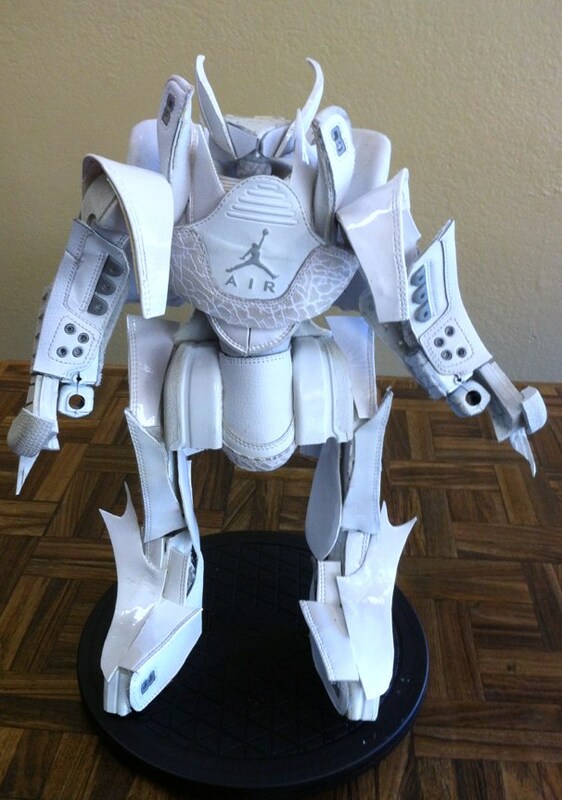 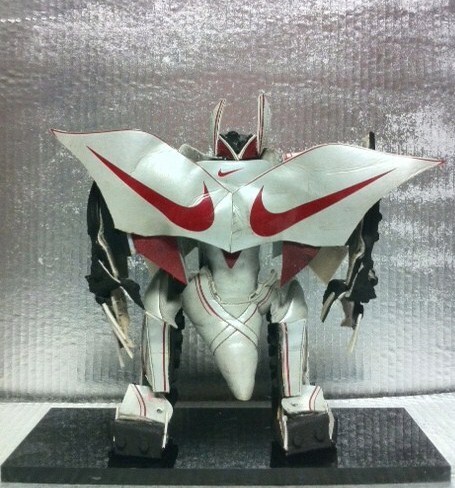 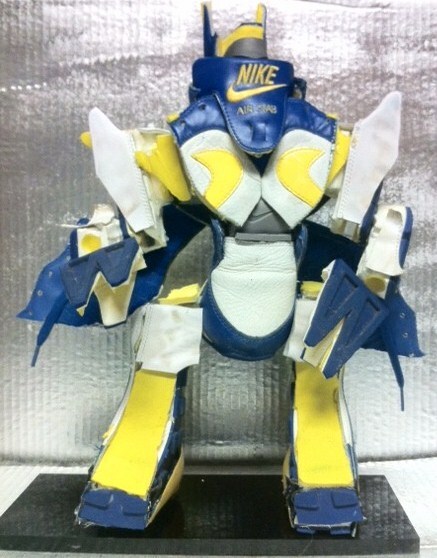 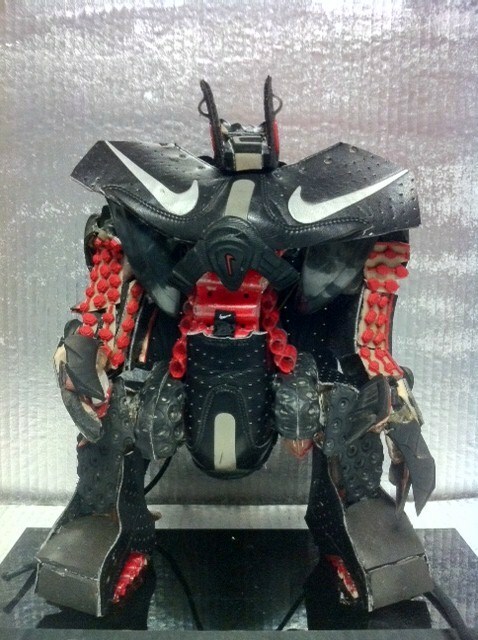 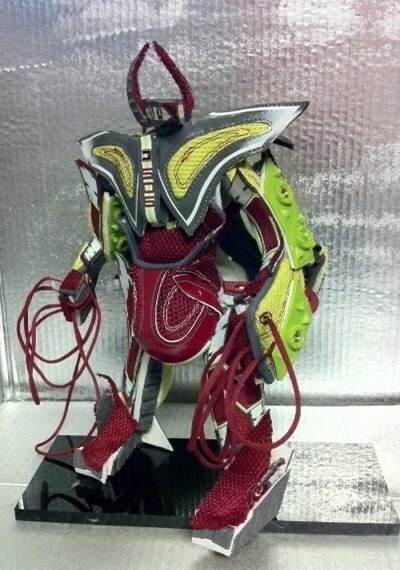 Robots and Sneakers have always gone hand in hand ever since Nike released the Transformers x Basketball Pack a few years ago and recently, we came across an artist that uses shoe parts to create what he calls “Transshoeformers”. 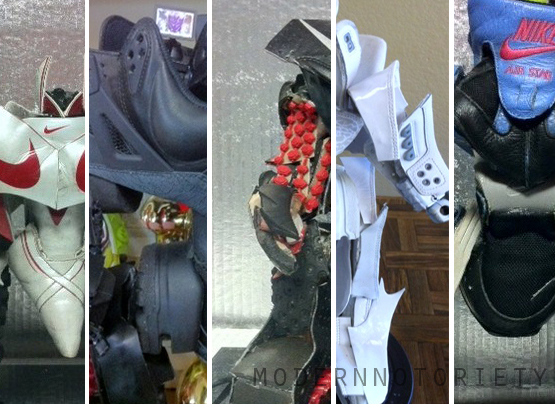 These figures are completely made out of sneaker parts from one piece to another – including parts from the Air Jordan 3 “Pure”, Black Spizike Boot, Air Stab and a few other kicks you can probably make out yourself. 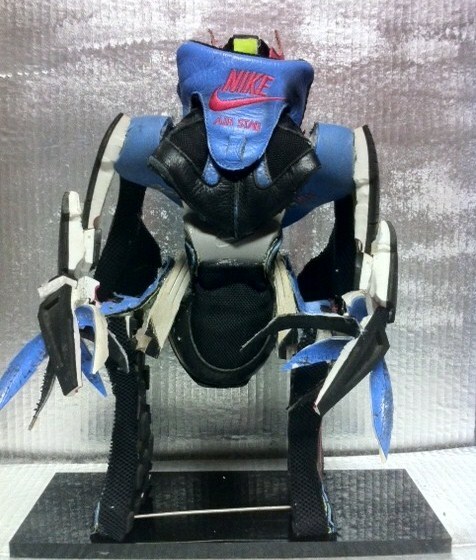 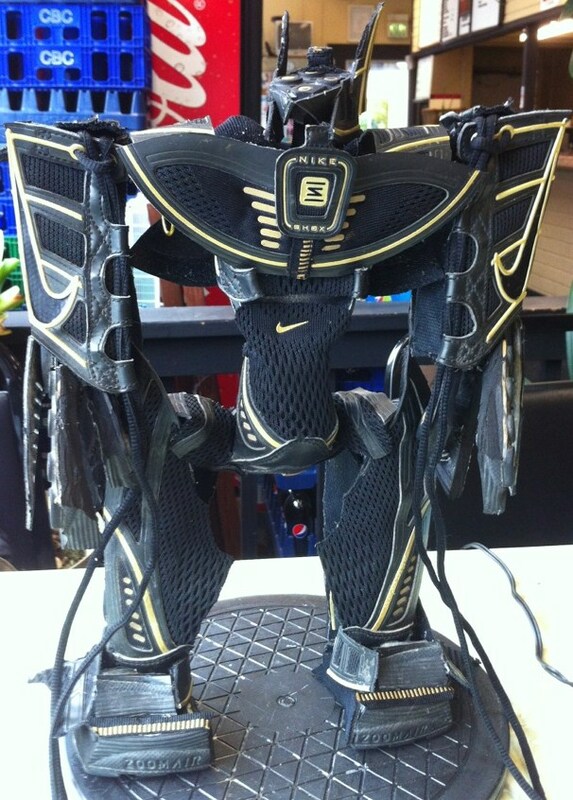 You can check these Sneaker Robots by Transshoeformers after the jump!